Today, I'm so excited to give you a post-birthday and Christmas giveaway! 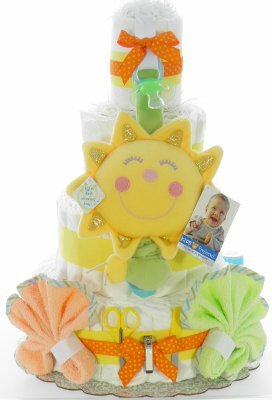 Last week, Liz, the owner of eDiaperCakes and a new mom (she gave birth to a baby girl last year), reached out to me and introduced me to their awesome selection of diaper cakes. I recently have a cousin who just announced that she and her husband are expecting and I cannot wait to send them the cutest diaper cake. EDiaperCakes make the most beautiful diaper cakes I've ever seen. I’d recommend visiting their website if you haven’t seen their cakes. I found them to be different than the other companies out there. 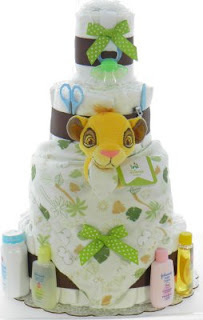 Instead of having generic diaper cakes, they utilized popular characters that we’ve all come to love. Some of the more popular characters they have are Eric Carle, Pat the Bunny, Peter Rabbit, Guess How Much I Love You, the Lion King, Mickey Mouse, Winne the Pooh and so much more. They also include books with some of their diaper cakes. They put approximately 75 diapers into their cakes and they stand 4 tiers. 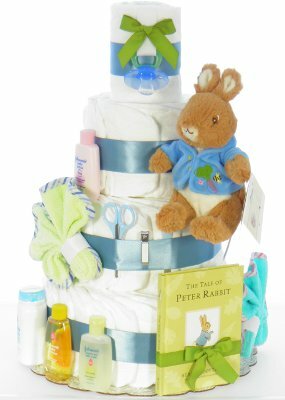 They have a sweet mix of diaper cakes that are made specifically for boys, girls and neutral ones.So they would make a great choice if you’re planning on buying one. EDiaperCakes is a mom-owned company that’s located in Michigan. 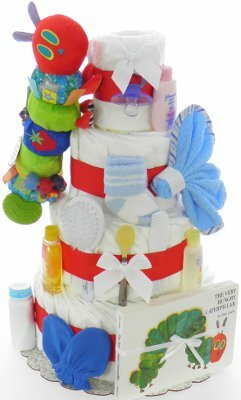 Their diaper cakes are assembled in two business days and the shipping is $5. To know more about eDiaperCakes, you can visit their online shop. You can also follow on them on Facebook, Twitter and Pinterest. How to win? It's so easy! Just follow the required tasks in the Rafflecopter form below. This contest ends at 12:00 am on January 2, 2012 and is open to US residents only. The winner will be notified via email 48 hours after the contest ends. Good Luck!